Brownlow medallist and dual AFL premiership player Gary Ablett Jr. has joined Gameday International, a wholly owned subsidiary of Impression Healthcare (ASX:IHL) as its latest ambassador. The AFL legend who has captained the Gold Coast Suns since his departure from Geelong Football Club in 2010, will promote Gameday via advertising and other marketing activities to build brand awareness around Gameday Mouthguards and future products. Gameday manufactures custom mouthguards at an affordable price making them accessible to all Australian sports participants. However it is still an early stage company and investors considering this stock for their portfolio, should seek professional financial advice. It expected Ablett’s involvement will bring awareness through the entire AFL community, from grassroots level to more senior leagues. The eight-time All-Australian will be looked upon to promote a message of safe play through grass roots media related activity, as well as the benefits of wearing a custom-made mouthguard. Ablett will attend school clinics and use social media to work with Gameday to produce and promote a limited edition mouthguard to be named after the champion: Gary Ablett Jnr. Limited Edition Mouthguards. Ablett’s signing comes just weeks after two prominent players from the AFLW signed on as Gameday ambassadors. 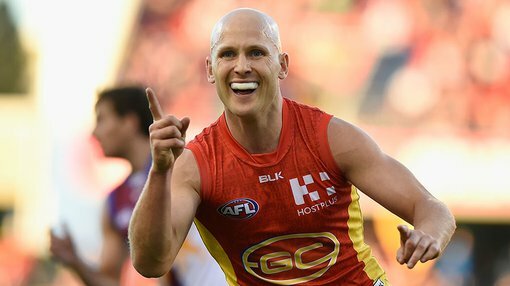 Ablett will join high profile professional women’s AFL players, Moana Hope and Kaitlyn Ashmore, as Gameday’s AFL representatives. The AFLW players joined Gameday just as IHL debuted on the ASX in November. As part of his consideration, Ablett will be issued with 625,000 shares in Impression Healthcare, further aligning his interests with the company.